Does Historical Accuracy Matter In Storytelling? No story can be perfectly accurate, but misinformation can be harmful. We see it on movie posters all the time: based on a true story (or, in the case of ‘The Men Who Stare at Goats,’ “More of this is true than you would believe”). Of course, if you look into the basis for any historical fiction, you’ll find that it’s not entirely accurate. There are plenty of reasons why historical fiction deviates from reality. First and foremost, it’s important to tell a good story, not to simply educate the audience. This means details must be left out for simplicity’s sake, real people are mixed to form composite characters, and most of the dialogue and character development will be artistic license. Total accuracy is the realm of documentary and nonfiction, and a film, novel, etc. bound strictly to the facts wouldn’t be particularly appealing to most audiences. Some stories deviate from history for dramatic purposes, because real life rarely provides the high stakes and clear-cut conflict that fiction can. Frank Miller’s graphic novel ‘300,’ and Zack Snyder’s film adaptation, goes to great lengths to characterize the Spartans as heroes, while demonizing the Persian invaders (although the depiction of Xerxes as a violently narcissistic tyrant is pretty fair). No matter how barbaric the Spartans could be, they make for compelling underdogs with a few factual adjustments. However, while many of its scenes are total fabrications and the costumes are especially inaccurate, the story actually covers the events of the Battle of Thermopylae relatively well. ‘Gladiator’ is an even more extreme example of historical inaccuracy used to create more compelling drama. While there was undoubtedly plenty of research poured into the film, the story makes no attempt to follow history. The film’s iconic protagonist Maximus is fictitious, but the villain Emperor Commodus was a real person. Though he did actually enjoy fighting in rugged gladiator games, as the movie depicts, he was not killed in the arena in an act of vengeance. His advisors conspired against him and hired a wrestler to strangle him while he was taking a bath. Even as someone who loves history, I can admit that the fictional version is simply a more entertaining story. That doesn’t mean that storytellers should simply change whatever they want. First of all, the ambiguity and complexity of history may very well make for a better story than the same rehashed formulas that Hollywood typically falls back on. When dealing with true events, storytellers do have some level of responsibility regarding what information they distribute to the public. Like it or not, much of that people think about history is influenced by stories, and historical fiction can easily function as propaganda in disguise. The revisionist epic ‘Birth of a Nation’ romanticized the Ku Klux Klan as heroes protecting the Post-Civil War South from freed slaves. 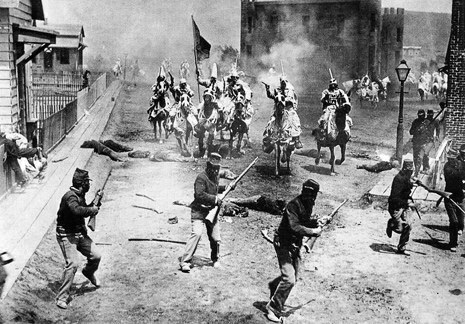 The film was widely popular, and proved to be an effective recruitment for the KKK in real life. Inspired by the film, some white audiences formed gangs and committed hate crimes, including murder. All fiction is essentially a lie, but historical fiction in particular has the potential to be a malicious lie. Modern Hollywood no longer has the audacity to do something so blatantly racist, but that doesn’t stop prejudice from creeping into popular versions of history. The film industry has an ugly habit of removing diversity from history, something particularly noticeable in its treatment of Ancient Egypt. During Europe’s obsession with Egyptology in the 19th century, it was widely assumed in the western world that ancient Egyptians were ethnically white, in large part because the racial science of the day insisted that other races were incapable of building such an advanced society. 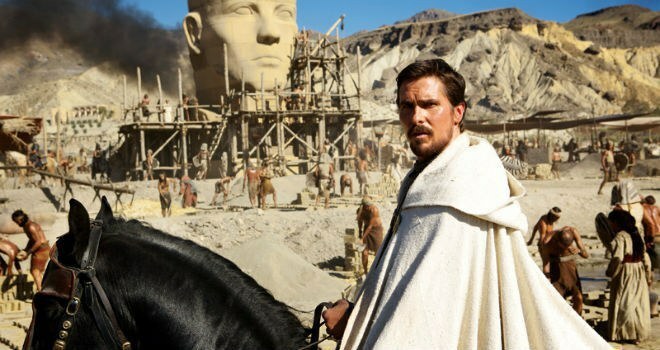 While such pseudoscience has been dismissed as absurd, popular media continues to depict ancient Egyptians as predominantly white (in the recent ‘Exodus: Gods and Kings’ and ‘Gods of Egypt,’ for example). It’s hard to determine exactly what they looked like in reality, but Greek historian Herodotus does refer to them as dark-skinned with wooly hair. Considering that he was alive at the time, we should probably take his word over the theories of 19th century racists. In later centuries, Egypt probably became something of an ethnic melting pot as it was conquered by the Greeks and Romans, and more recently by the Arabs and the English. The problem with modern depictions of Egyptians is not simply inaccuracy, it's the fact that they implicitly promote outdated prejudices. Some historical inaccuracy is acceptable and even necessary in storytelling, but disregarding the facts can also promote outdated or even harmful misconceptions. Major inaccuracies will also break the suspension of disbelief for audiences that are well-versed in certain historical topics, the very people who would be most attracted to historical fiction. The best example of historical fiction that I’ve encountered is easily Robert Graves’ ‘I, Claudius’ and its sequel ‘Claudius the God.’ The two books are written as the lost autobiography of the Roman emperor Claudius, turning a lesser-known historical figure into a compelling character. The books are exhaustively researched, to the point that they’re actually decent sources of information regarding first century Rome. However, Graves used artistic license to create a great deal of character development and drama, essentially using fiction to fill in the gaps of history rather than contradicting it outright. It may not be the stuff of swords and sandals blockbusters, but it is infinitely more interesting. Accuracy matters when it contributes to a more complex and believable narrative, but can be a drawback if it results in convoluted plots and weak pacing. After all, if stories were exactly like real life, we wouldn’t bother telling so many stories. Stories shouldn’t be judged primarily on accuracy, but that doesn’t mean storytellers have a blank check to promote damaging falsehoods either.